The cordless shaver that keeps skin smooth and runs longer on a single charge. 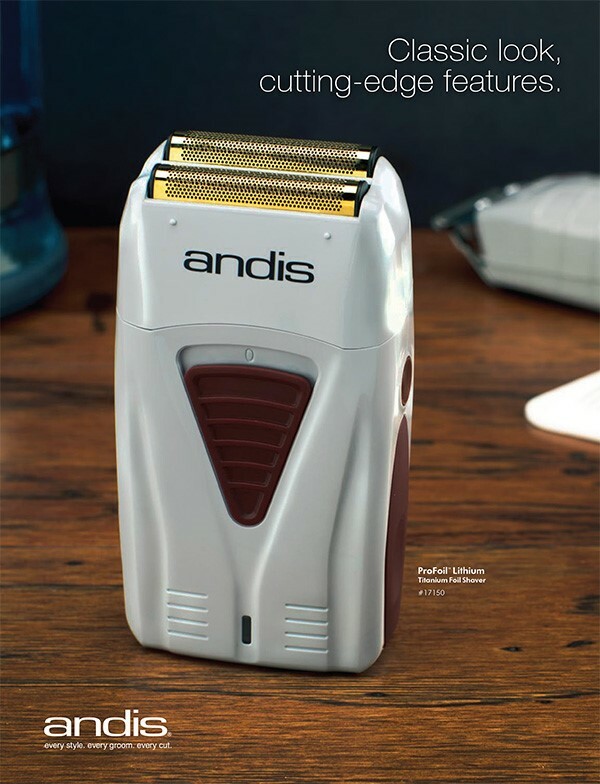 The ProFoil™ Lithium Titanium Foil Shaver from Andis delivers a close shave for fade finishing and removing stubble resulting in smooth, clean-cut skin. Compact and weighing less than 150 grams, the ProFoil cordless shaver is powered with a lithium-ion battery for up to 80 minutes of run time on a single charge. As an option, the shaver can also be used with a cord when the battery runs down. The ProFoil is driven by a robust, but quiet rotary motor turning at 9,400 RPM for optimal performance. Its tiered head design features two rows of cutting blades housed under individual gold titanium hypoallergenic foils that are engineered to maintain their shape better and last longer. 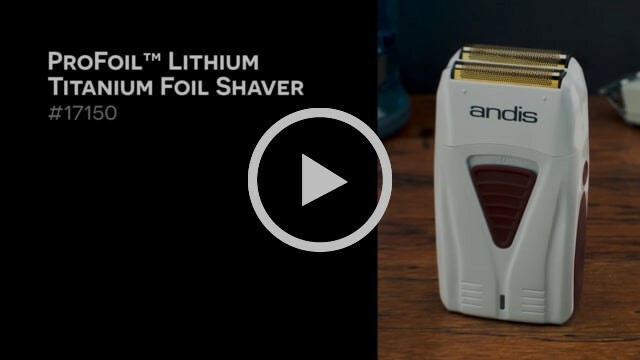 Check out the smooth, clean-cut finish the Andis Shaver gives in the video below. Alternatively, head into your local Hair Mart store to trial the demo model!